Metallic silver gray color feel cool and frosty. Beautiful, inspired by crystal clear winter ice, silver color tones are excellent for neutral and festive room decorating ideas. Holiday decor in silver colors looks charming, brightening up Christmas decorating and New Year Eve table decoration. Silver color shades add elegant chic to room decorating, making holiday decorations look exclusive and expensive. Top ten winter decorating ideas from experts will help you find the best way to use wonderful silver gray color tones for winter home decorating. 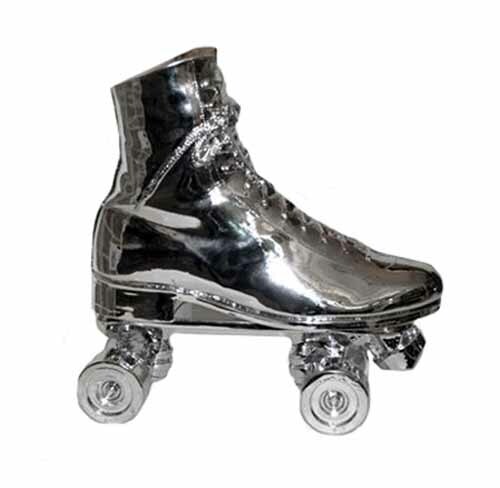 Silver skate door stopper is a nice way to add silver gray color to your entryway or foyer decorating in winter. 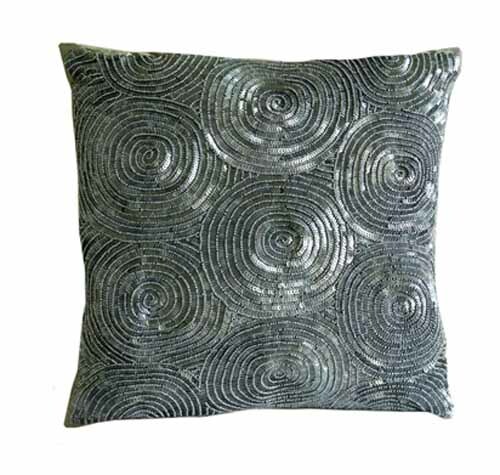 Bright decorative cushions in silver gray colors bring festive glow to your living room decor. Small table clocks or large wall clocks in silver gray color are luxurious home accents for charming winter decorating in retro style. CLocks are versatile and suit all room decor styles. Purchase or make table decorations with moving and reflecting light metal parts in silver gray. Design a lampshade for a table lamp and decorate your winter party table, surprizing your friendls and family with a unique decorative accessory in retro style. 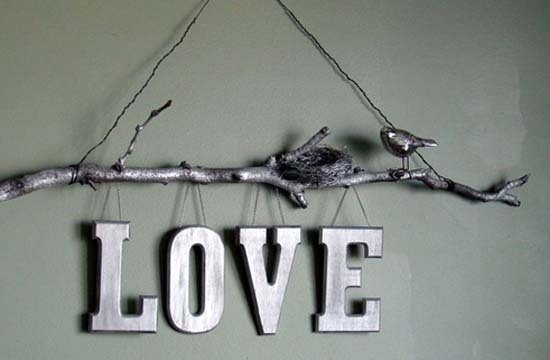 Wooden letters, painted silver color are inspiring and meaningful. Simple decorative accessories will add country home charm to winter decorating ideas, offering unique holiday decorations for shelves or a fireplace mantel. Silver tableware creates luxurious atmosphere for your tea party to celebrate winter holiday season in style. A small mirror on the holiday table or a large mirror on your dining room wall, painted slver color, are great holiday decor ideas that add creative reflections and festive glitter to winter decorating.